Kingsthorpe College has a statutory duty to ensure that all registered pupils, from year 8 to year 13, are provided with independent and impartial careers guidance. Students need help to make choices and manage transitions: they need good quality careers education, information, advice and guidance. Programmes of careers education that equip them to make effective use of the information, advice and guidance provided and to develop their career management and employability skills. The guidance from the DfE places a duty on schools to secure access to unbiased and impartial careers guidance for their students. What opportunities are offered in Careers Education and Guidance? At Kingsthorpe College we are committed to providing students with a wide range of guidance and support to help them make the best choices for their futures. We offer learning opportunities through student development sessions and tutorials as well as one to one guidance from independent advisors and online support. Careers education is provided to all students and provision is made to allow all students to access the curriculum. Students are encouraged to follow career paths that suit their interests, skills and strengths with the absence of stereotypes. All students are provided with the same opportunities and diversity is celebrated. 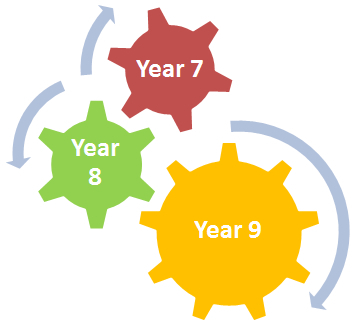 Year 7 - The focus is about introducing careers and thinking about the vast number of careers / jobs available. Year 8 - The focus is linking our plans and dreams to reality. 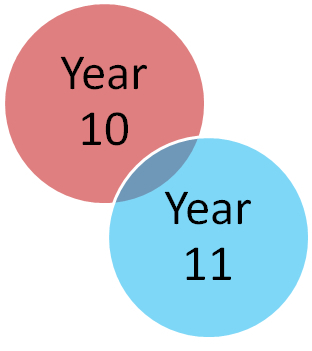 Year 9 - The focus is self-assessment, career paths and options post 14. The school Careers Team comprises of Mrs Cockerill who runs our Careers Education Programme and Miss Fisher, who co-ordinates the school’s Enterprise and Work Experience Programmes. Parental involvement is encouraged at all stages. Online resources have been specifically chosen to help parents become more involved. All online resources are easily accessed through the links on the school website. Parents are kept up to date with careers related information through letters, newsletters and at open evenings. Parents are welcome at careers interviews and where necessary are invited. View the Parent Pack from Amazing Apprenticeships. The College arranges a variety of events and activities where students can meet representatives from businesses, education, voluntary organisations and former students for inspiration and guidance in a wide range of career areas. Regular events involving external participants include, employer talks and university visits as well as mock interviews for Y11 and Post 16 students. Our annual Careers Fair targeted at students in Y9/10/11 and Post 16 attracts exhibitors from major national, regional and local companies together with universities and other organisations. The purpose of this event is to raise awareness of a wide variety of opportunities and to motivate our students to consider a broad and ambitious range of pathways and to work hard to achieve their full potential. We aim to provide something for everyone! This event is incredibly successful and as a result of this growing success is also open to a number of local secondary schools. Offer great opportunities for young people in the area in HPT and Advanced Manufacturing. The vast majority of students at Kingsthorpe College will apply to university; as a result we have an excellent, well-organised and successful UCAS support system. Year 13 students receive information and guidance on applying through UCAS and writing Personal Statements. They also carry out extensive research on universities and courses that may be of interest to them. In June, Year 13 students attend a UCAS Registration Day in which they register online and formally begin their UCAS application. Parents are invited to a UCAS Information Evening to ensure that they remain fully involved in what are life-changing decisions for the students. Students are encouraged to use their free time to research courses and institutions, refine their Personal Statement and complete all details on the UCAS form. The school’s Senior Leadership Team and all Post 16 tutors are actively committed to this process. The National Careers Service website contains information on over 750 jobs and contains details of the skills and qualifications you'll need. You can also find out about what the work would be like, the average salary you could expect and what the career prospects are. The National Careers Service website also incorporates a CV builder, action plan, funding information, example letters, skills checker facility and interview tips. Prospects, the graduate careers website has approximately 400 job profiles which you can use to help you make an informed career choice and gain a better understanding of what's involved in a wide range of jobs. Careers Advice Online allows you to browse through information on all kinds of jobs. The information is split into job families, so it’s easier to find what you’re interested in. If you’re not sure about what sort of job to go for, you can try looking at the section on choosing a career. Where can I get impartial careers advice on line? Details of the course requirements for all university courses. Definitely worth looking at before you decide on the subjects you want to study at college. Find out about apprenticeships and search for vacancies. Free magazines full of interesting articles/case studies to take away where more than one copy is on shelf. The Careers Library is kept up to date by the Librarians.